The Irish women’s sprint record has been shattered by international rider Robyn Stewart at a UCI track meeting in Moscow. Belfast rider Stewart, a late convert to cycling who only began her international career last year, blasted to a time of 10.994 seconds. The breaking of the 11-second barrier is regarded in elite female sprinting as world class. The world record was set by Germany’s Kristina Vogel at 10.384. The British record is held by Becky James; set at 10.627. Both marks date from the 2013 UCI World Cup in Mexico. Stewart’s time at the UCI meeting in Moscow last Saturday would have put her 10th in qualifying at the recent World Track Championships. She finished the sprint event in Moscow in 8th place. But it is her rapid progression over a short space of time that is more noteworthy. Before she joined the Irish track team less than two years ago the record for the flying 200 metres was 12.2 seconds. Stewart had lowered that to 1159 seconds, at the European Track cycling Championships last October, and his now dipped just below 11 seconds. 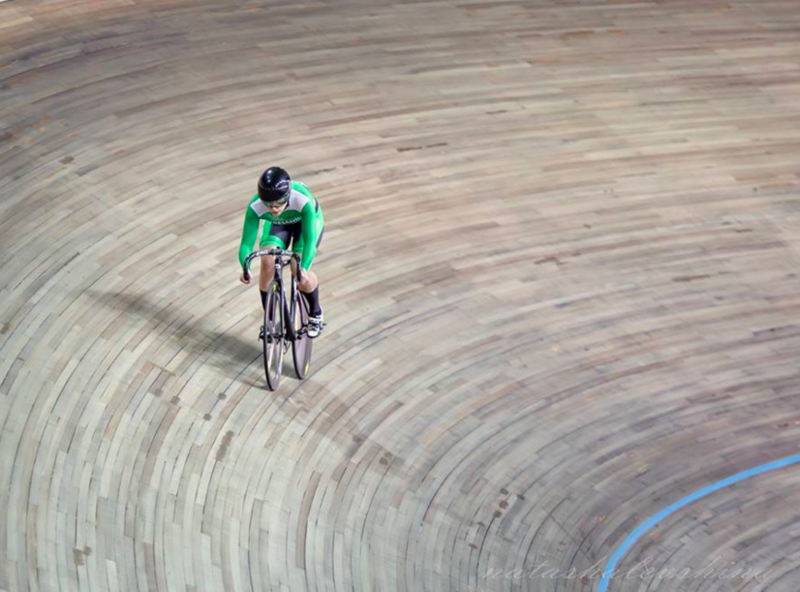 Her new national record is provisional as it must be ratified by Cycling Ireland. Stewart is hoping to represent Northern Ireland at the Commonwealth Games in Australia next year. And on the basis of her recent progress can look to that goal with real optimism. As well as breaking the 200 metre record last year and again last weekend, she also holds the Irish 500 metre record. We’ll catch up with Stewart in the next couple of days.